T’Igor, Cindy, Bryan and Rachel join Kyle to discuss the final Showa-era Gamera film! There are some movies which cannot be explained, they can only be experienced…. Gamera The Super Monster (1980) is such a film. Not because it is an amazing piece of filmmaking (far from it), but because the movie was made as an attempt to bring the film company, Daiei Motion Picture Company, out of bankruptcy and it really, really shows. It’s also pretty apparent why the attempt failed – Uchu Kaiju Gamera is an absolute train wreck of a film, culling together footage from every other Gamera film and blatantly ripping off a few others in the process! I was joined by Cindy, Bryan, Rachel and my son T’Igor to talk about this film. This episode was pretty packed with awesomeness: we had a great discussion, the homework submitted by the listeners was quite varied and such a fantastic response to such an obscure film! 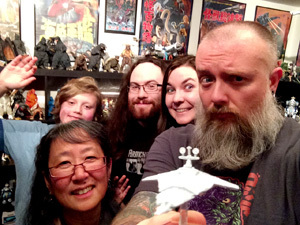 Plus we had some cool news to share, new Kaiju Corps members to announce and we introduced a new segment, too! Jan 2, 1966: Ultra Q Premiere’s on Japanese TV with Defeat Gomess! Jan 4, 1944: Masato Shimone was born. Check out Jay Grymyr’s Blog for more incredible date-based kaiju factoids! Next month’s movie is going to be a big one! 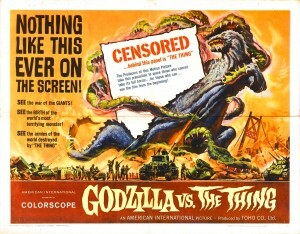 The fan favorite Mothra vs. Godzilla aka Godzilla vs. The Thing (1964) will be our focus for the month of February and I am expecting a landslide of homework submissions. You need to turn in your homework by February 22nd to be included in the discussion and because I am expecting such a massive amount of thoughts, questions and reviews to sift through (and most likely edit down), please try to keep your homework brief and to the point. We would all appreciate that very much! That being said, I cannot wait to read what you all write for this film; Mothra is a very polarizing character. Hopefully you’ll be able to check it out and if you don’t already own the DVD, Godzilla vs. 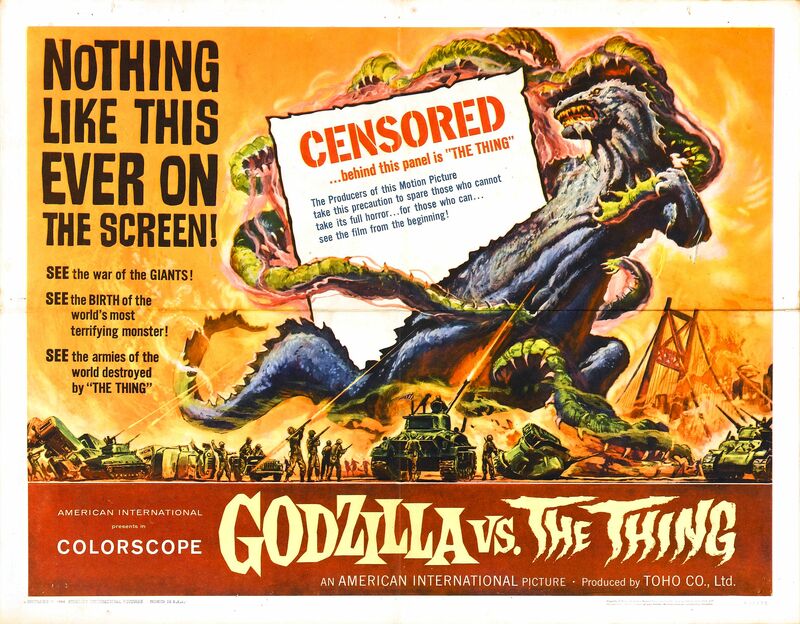 The Thing is available “on demand” on Hulu Plus, Amazon Instant Video and Netflix – although it’s title is “Godzilla vs. Mothra (1964)”.